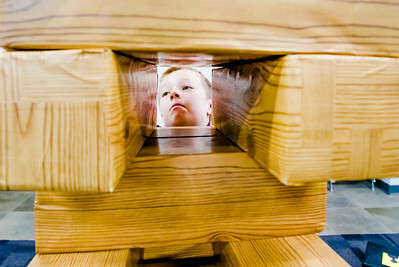 Sarah Nader- snader@shawmedia.com Danny Gibson, 8, of McHenry carefully places a block while playing with a life-sized version of Jenga during a special edition of Big Games at the McHenry Public Library Thursday, March 24, 2016. Kids played life-sized games of Jenga, Angry Birds, Dominos, Scrabble and more. 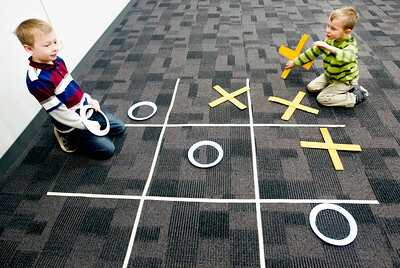 Sarah Nader- snader@shawmedia.com Danny Gibson (left), 8, of McHenry and his brother, Josh Gibson, 6, play a game of tic-tac-toe during a special edition of Big Games at the McHenry Public Library Thursday, March 24, 2016. 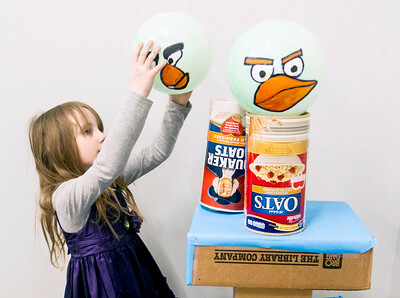 Kids played life-sized games of Jenga, Angry Birds, Dominos, Scrabble and more. Sarah Nader- snader@shawmedia.com Teagan Kelley, 5, of McHenry sets up her Angry Bird game during a special edition of Big Games at the McHenry Public Library Thursday, March 24, 2016. Kids played life-sized games of Jenga, Angry Birds, Dominos, Scrabble and more. 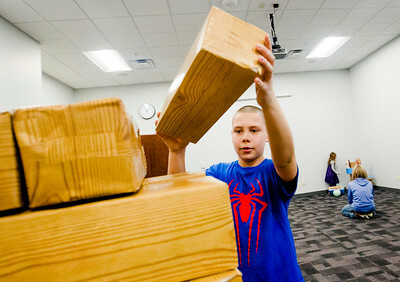 Sarah Nader- snader@shawmedia.com Nick Trent, 12, of McHenry carefully places a block while playing with a life-sized version of Jenga during a special edition of Big Games at the McHenry Public Library Thursday, March 24, 2016. Kids played life-sized games of Jenga, Angry Birds, Dominos, Scrabble and more. Danny Gibson (left), 8, of McHenry and his brother, Josh Gibson, 6, play a game of tic-tac-toe during a special edition of Big Games at the McHenry Public Library Thursday, March 24, 2016. Kids played life-sized games of Jenga, Angry Birds, Dominos, Scrabble and more.